COMPRESSOR 1 1/2 HP. ELECTRIC Rentals Ft. Collins CO, Where to Rent COMPRESSOR 1 1/2 HP. ELECTRIC in Ft. Collins, Wellington, Greeley, LaPorte, Loveland, Windsor CO and all of Northern Colorado. Small portable electric air compressor, weight 60 lbs, 4 gallon air tanks. 5.1 cfm @ 40 psi, will pump up to 125 lbs. 1.5 HP, 115 VOLTS, 14 AMPS. do not use over 100 ft of extention cord, minimum size 12 guage. 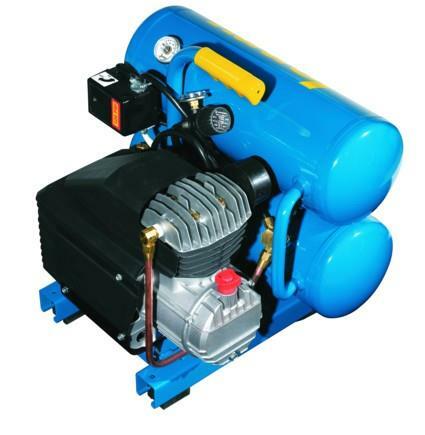 * Please call us for any questions on our compressor 1 1/2 hp. electric rentals in Fort Collins, Wellington, Greeley, LaPorte, Loveland, Windsor CO and all of Northern Colorado.